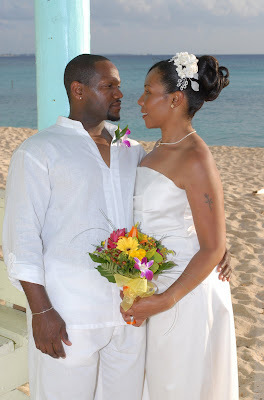 This young couple is from a wedding I did on Seven Mile Beach in November 2007. They sent me these pictures recently, and I wanted to feature them on my blog because they are both in the armed services. 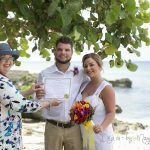 If you plan to get married in Cayman and you can show proof of having served your country in the armed services, I will give you a special wedding present. 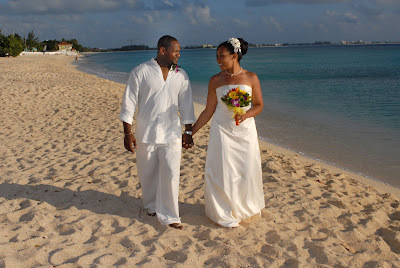 This is thanks to Erin, whose Wedding Blessing I am doing in January 2009. Her husband is serving overseas, and she wrote and asked me if I did anything special for servicemen. I am pleased to say yes, I do now. 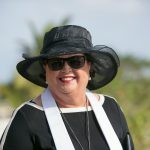 Enjoying Grand Cayman's wintry November weather! This shot was taken at the West Bay Public Beach, very private and quiet. Seven Mile Beach is this special, and this breath-taking. If you look across the water you can see the cruise-ships off George Town harbour. This beautiful spot is just across the street from our office in Centennial Towers, West Bay. We have excellent facilities for you to dress, do your make-up. or just relax and have a cup of coffee or a cool drink. You can also have your hair and nails done by Zulema's Salon and Spa which is also in our building. 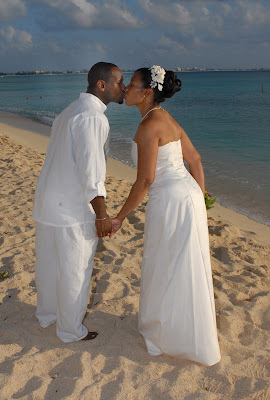 Other neighbours are Picture This Photography, VIP Productions for your wedding video, and Cayman National Bank. 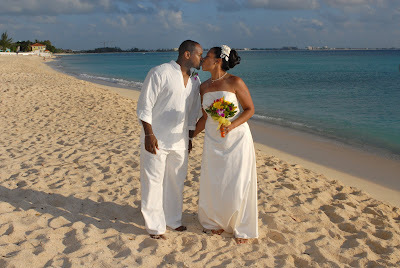 With 25 years experience, we are the wedding celebrants and planners of choice for locals and visitors. Book early to avoid disappointment. Ask about our refund policy and back-up plan in case of bad weather. 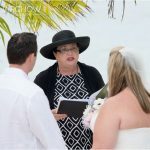 We are a member of the Association for Wedding Professionals International and proudly follow their Code of Ethics. 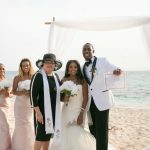 Whether you are visiting by cruise-ship or as a stay-over visitor call (345) 5256551 for Joy , (345)9498677 for Francine or email us, mywedding@candw.ky (Simply Weddings) or weddings@candw.ky (Cayman Weddings) and let our Destination Wedding Specialists make your dream wedding come true.